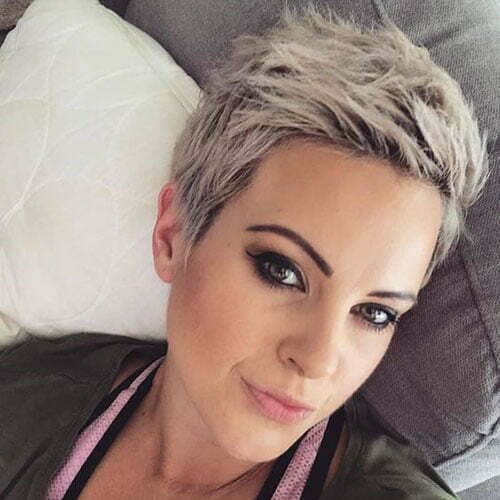 Let’s face it; pixie hairstyles are the most popular options women try.Pixie hair is suitable for both young and old ladies. 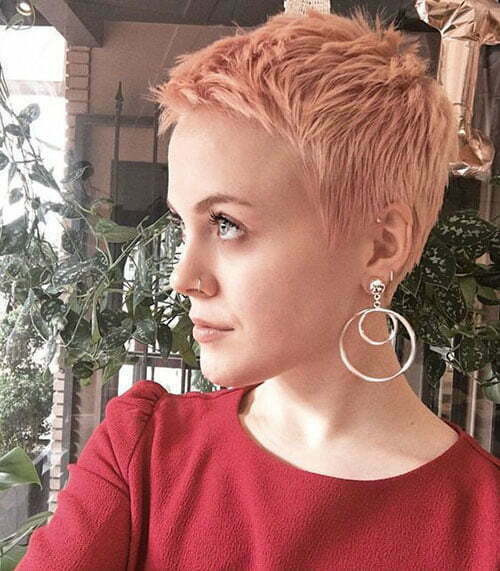 If you are a contemporary woman on the go then pixie styles will be your favorite ones. They are appropriate and very pretty for any type of hair. 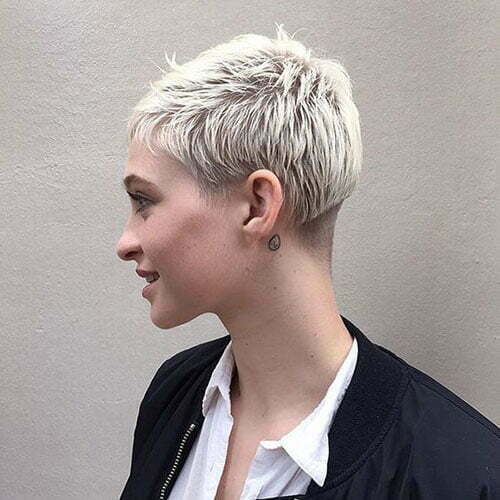 If you have thick hair then pixie cuts will bring much texture and volume. 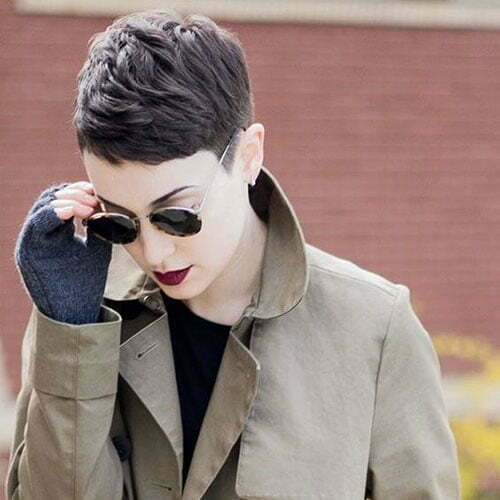 However, if your hair is fine then you can choose the right pixie cut and it will boost thickness of your short locks. 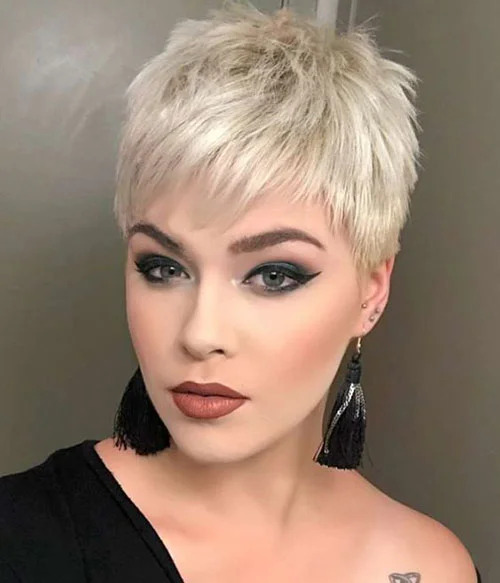 There are many modern pixie cuts and today we have collected Short Pixie Haircuts for Pretty Look to make sure that pixies are not limited to boyish hairdos at all. Pick one of these hot versions and you will refresh your stylish look making everybody admire your style. 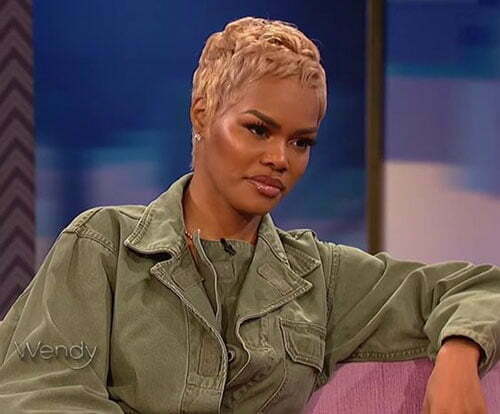 One of the best hairstyles is considered to be disconnected pixie hairstyle. 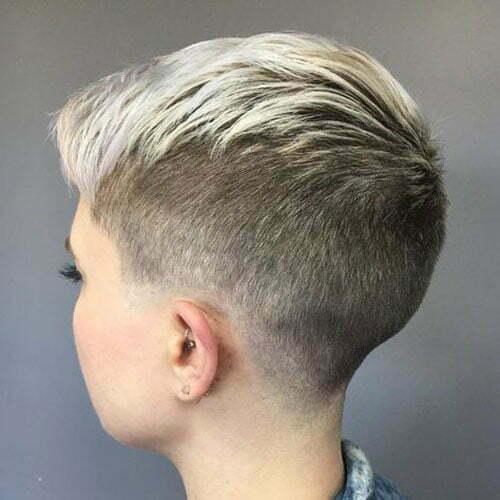 This provides enough length to play with color and texture. If you have fine hair then these layers will add much dimension and look awesome. 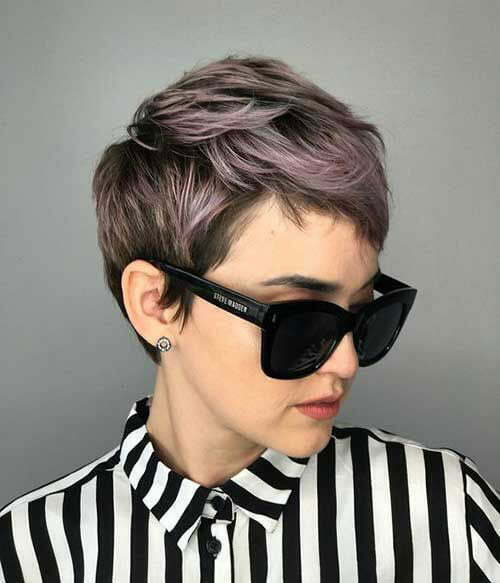 Choppy pixie is stylish as well if you want something new. We can also offer you gray color to feel inspired and have an edgy feel. 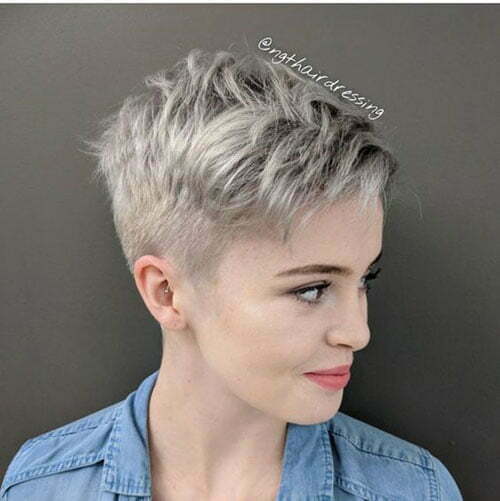 Ashy pixie with fused layers is a cute option as well. The swoopy layers are just stunning and if you are heading to a party then it will suit you perfectly. 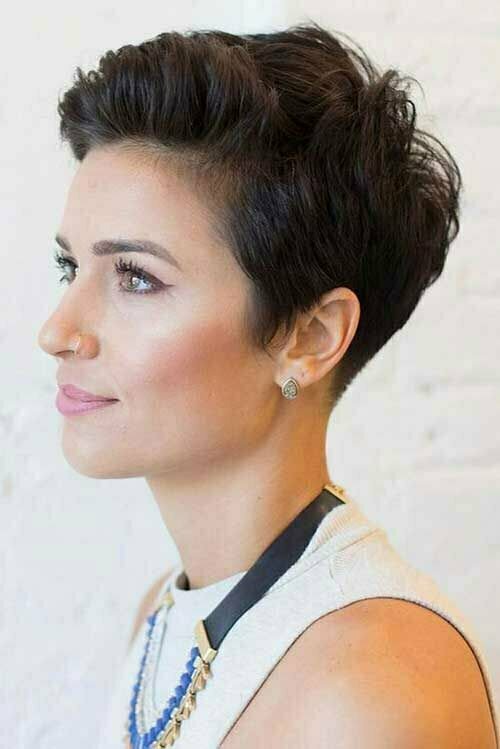 Tapered pixie cut is a great pixie version as well. This gives you a softer touch that will never leave you disappointed. 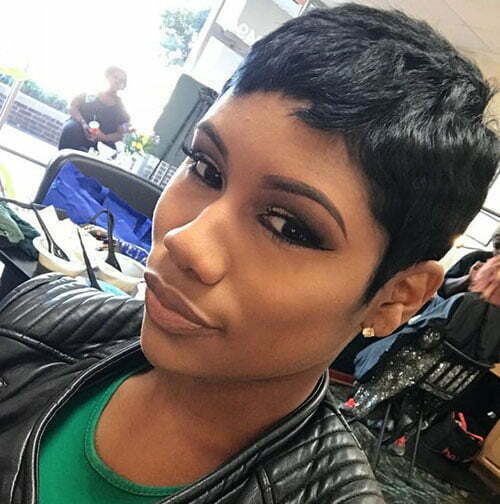 Side-parted pixie bob is a perfect style for those who want to try pixie and bob together. 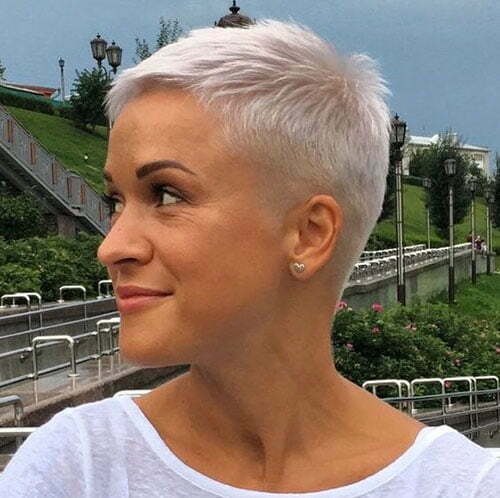 Add some bangs and complete your look with platinum blonde color. You can also opt for bright lip color and get a flawless look. 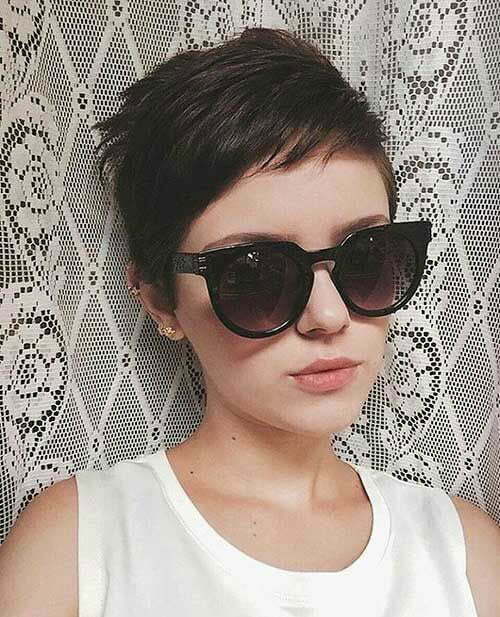 Choppy bowl-cut pixie is stylish as well. 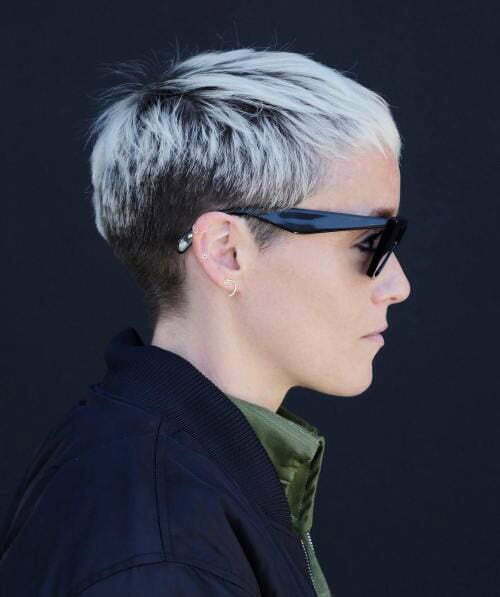 Undercut pixies are absolutely perfect. They are the hottest options nowadays. 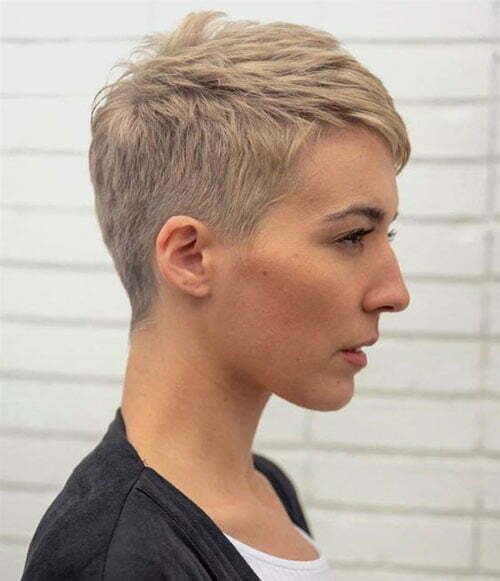 You will get a cool look due to a nape and sides undercut topped with choppy layers. 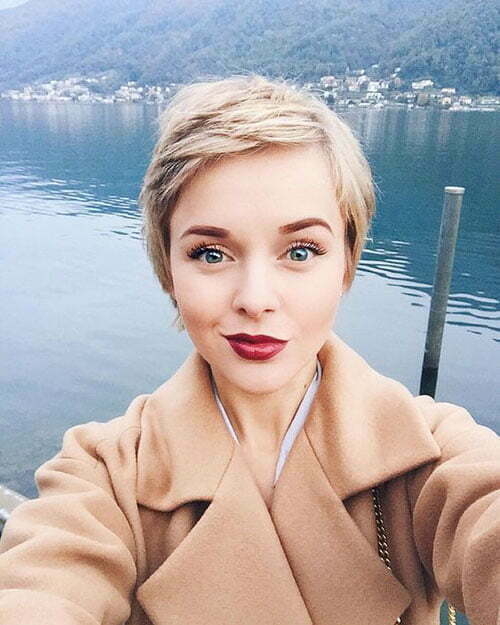 Half pixie and half undercut bob is the style of this season as well. 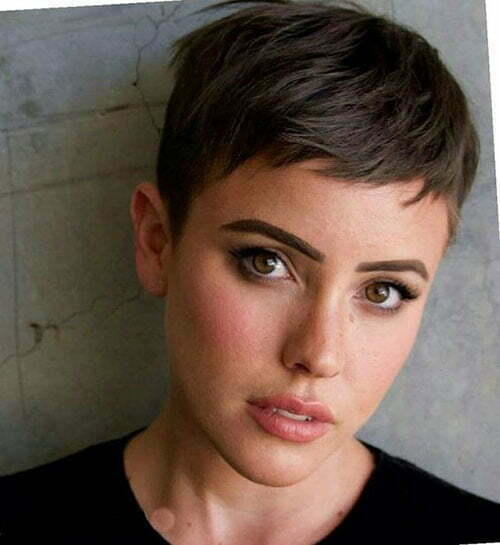 This is an edgy haircut and asymmetry gives you an interesting style. For all trendy women out there, we have another perfect hairstyle idea. 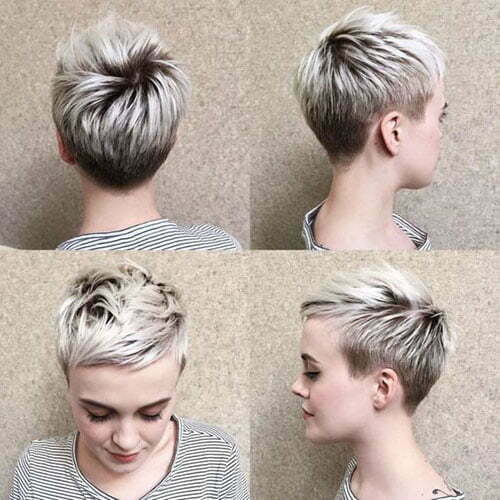 A stacked pixie with V-cut nape is a beautiful hairstyle which is really trendy currently. 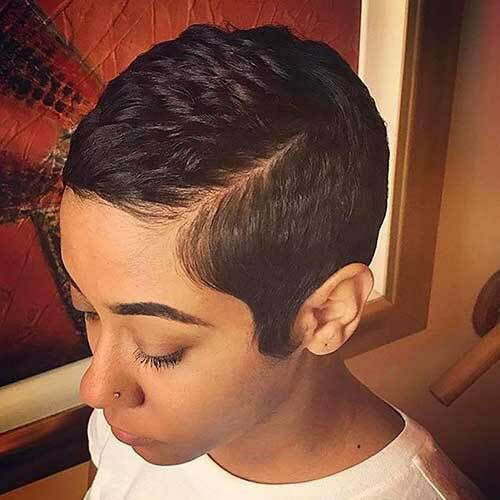 This hairstyle will give you a graceful neck line and make you stand out. 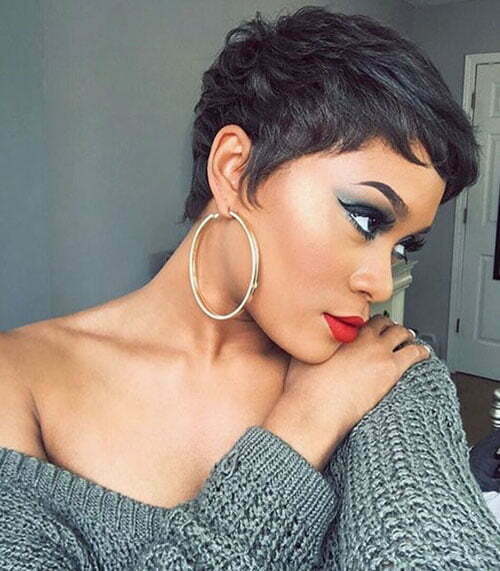 If you need something bold then try red pixie hair. Go red and stand out wherever you go. This style is suitable for different seasons, so try and you will not regret at all. 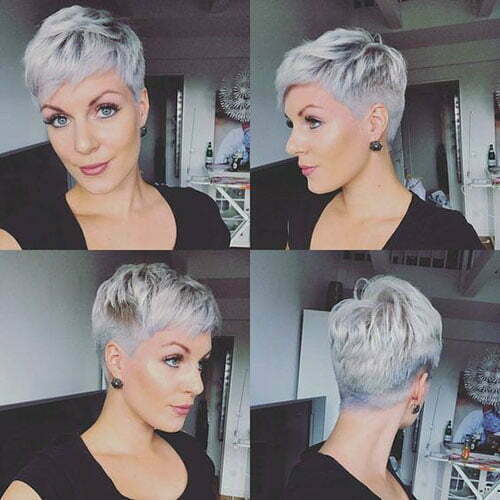 A reverse gray ombre will give you an interesting effect as well. Just leave your natural color at the nape and highlight the top part of your hair. 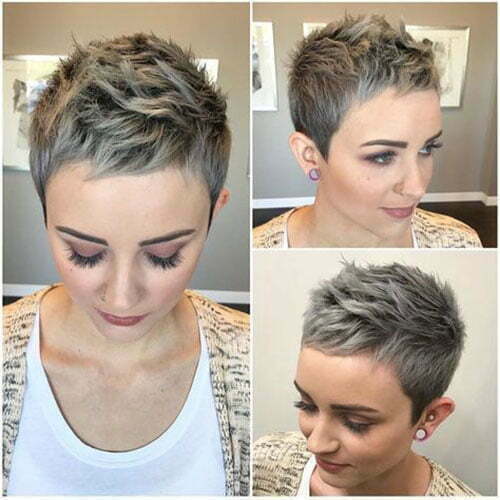 Your stylist should mix tones in a smart way to exceed the needed style and feel flawless. 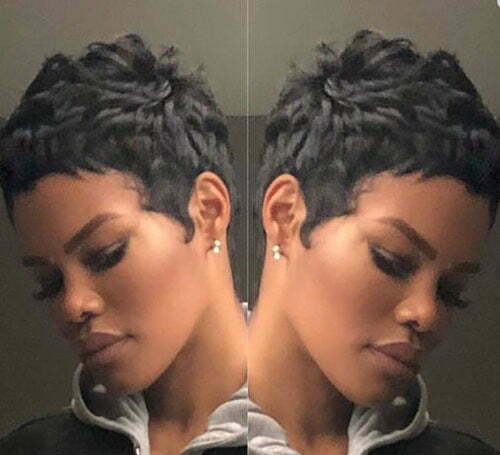 We have so many hairstyles below that will make you feel inspired. 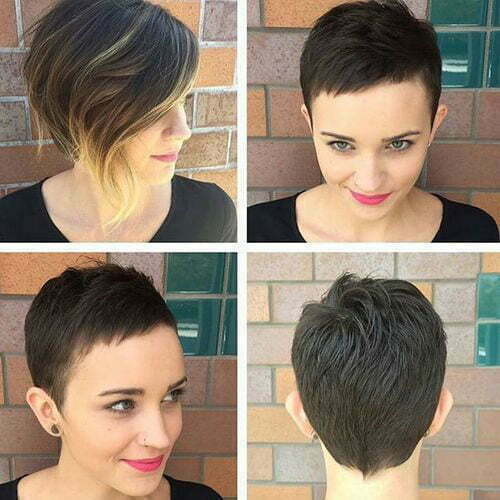 Just choose one of these pixie cuts and feel edgy.